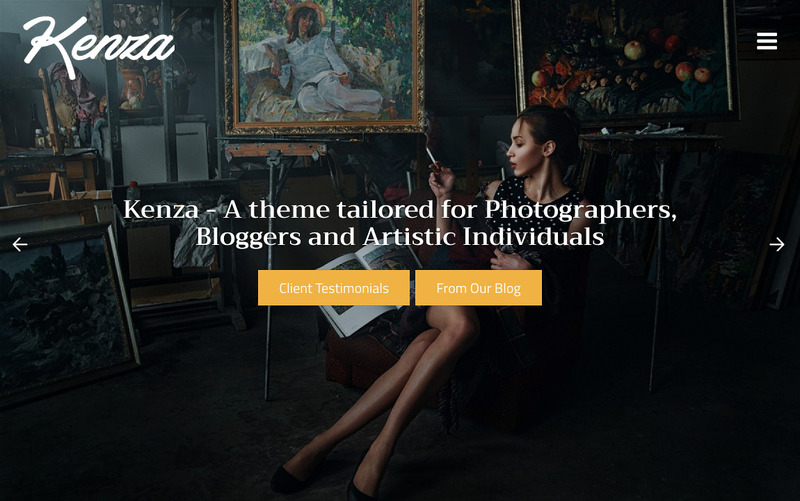 Kenza Pro theme for WordPress is an image-centric theme, allowing you to showcase your photography in style. The Frontpage Gallery is the perfect way to grab the attention of your clients. Kenza Pro features additional customization options and design elements that empower you to take your site appearance to the next level. Eliminate the need for plugins using Kenza Pro’s pre-styled, modern page templates. Kenza Pro allows you to use any color you can imaging as the theme skin. This allows you to achieve a perfect match for your existing brand or business. Use Kenza Pro to build a professional website for creative business, small business, photographers, weddings, bands, musicians, freelancers and more.